It is Vin Diesel starring in the Riddick 3 Rule the Dark. The saga continues this fall in theaters September 2013; after being abandoned and left for dead. Riddick sends an emergency signal beacon, but the wrong ships receive his signal. One is a race of mercenary alien predators and their only mission is to capture and kill Riddick, the other ship is captained by an old foe. One by one Riddick must deal with the hunters which may not stand a chance against him. He is pursued with hovering cycles, on foot, and from the ships themselves. This action adventure has some amazing action sequences and the special effects are much better than in the previous series. The planet is infested with blood thirsty creatures, not only has he managed to survive the hordes of alien creatures that lived on the surface and underground; but now he must deal with the bounty hunters that have discovered he is still alive in the planet. The cinematic special effects are flawless and spectacular; this movie filmed in 2012 will also be shown in IMAX theaters. The cast of characters is perfect and the character Riddick is true to his previous rolls. It has excellent and continuous action sequences with realistic CGI effects. There is only one thing left to ask; are you afraid of the dark? 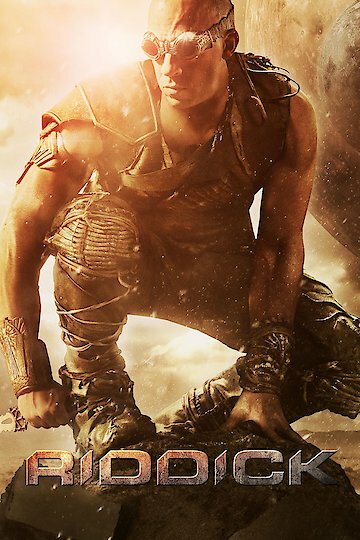 Riddick is currently available to watch and stream, download, buy on demand at FX Networks, FX+, FOX, Amazon, Vudu, Google Play, FandangoNow, iTunes, YouTube VOD online. It was a memorable summer, full of box-office disasters and record-breaking ticket sales. That's all over now, though, and only one new movie hits theaters nationwide this weekend. As far as new releases go, Vin Diesel has the box office all to himself for the entire weekend.